Lift-It® product specialists worked closely with representatives of the railroad industry to develop lightweight, rigging solutions. 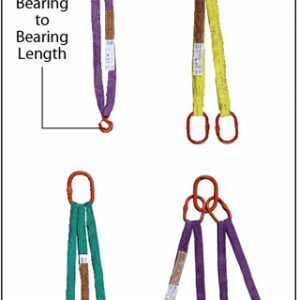 Traditional, wire rope slings that once required multiple persons, just to manipulate have been replaced by Lift-It® Rail Slings. 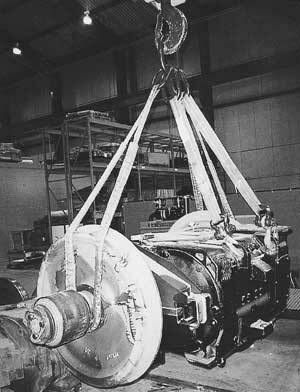 Drawbar Slings, Tanker Slings, Traction Motor Slings and Wheel Slings are efficiently handled injury free. 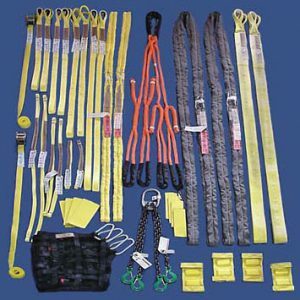 Lift-It® Rail Slings are readily available, in standard or custom lengths. All Lift-It® Rail Slings feature patented, Twin-Path®, High Performance Fiber Slings, with additional Sling Protection, automatically supplied. All Lift-It® Rail Slings are proof tested and certified. Beware of imitations! Supplied with or without arcs, you must specify stock number and assembly length. Feature a masterlink with subassemblies, sling saver shackles and 7-ton eye hoist hooks and special wear protection as standard features. Work load limit of 16,000 lbs. at 45 degrees. Assy. Work Load Limit- 16,000 Lbs. at 45 degrees. Feature two legs and the same special wear protection, which is provided on traction motor slings. Assembly work load limit is 21,200 Lbs. 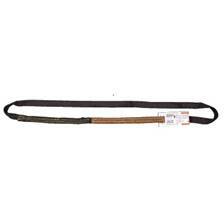 Lift-It Marine Slings have long been the “standard” for marine users around the world.